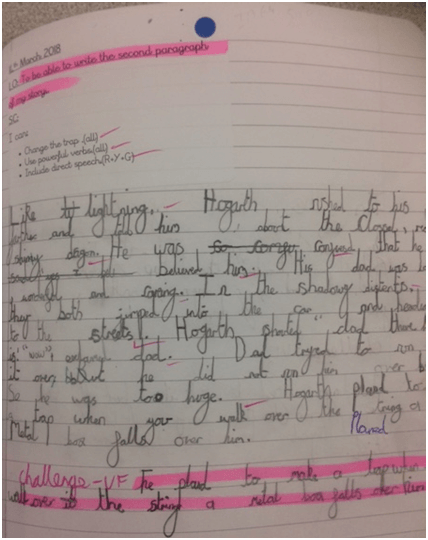 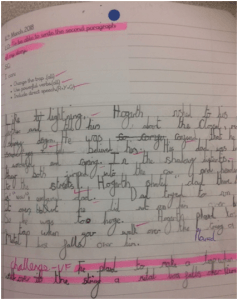 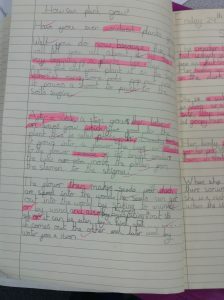 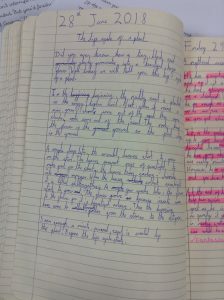 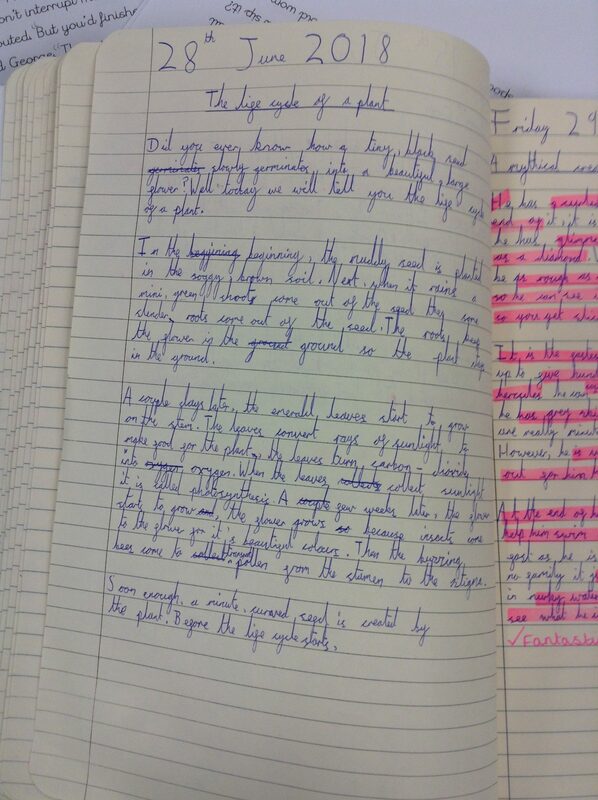 During Summer 2, Year 3 have had a go at writing an explanation text. 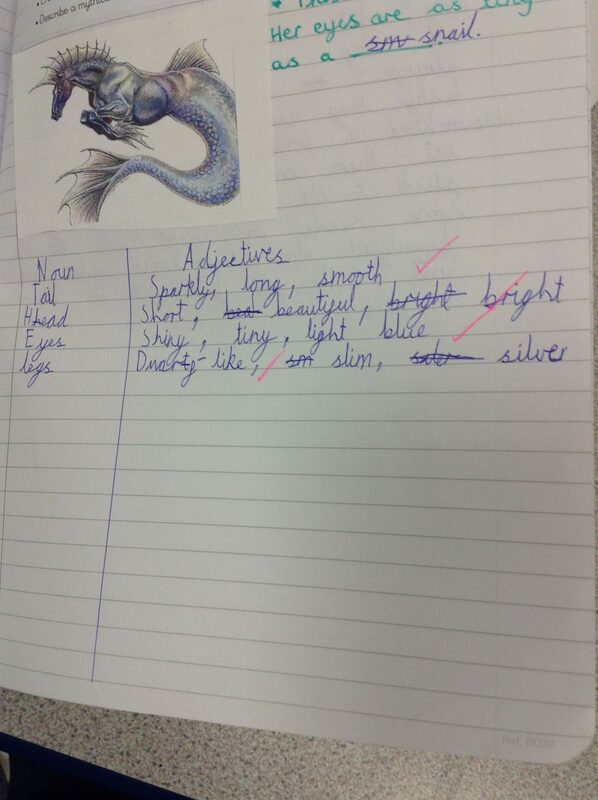 First, we looked at examples of explanation texts and identified the features. 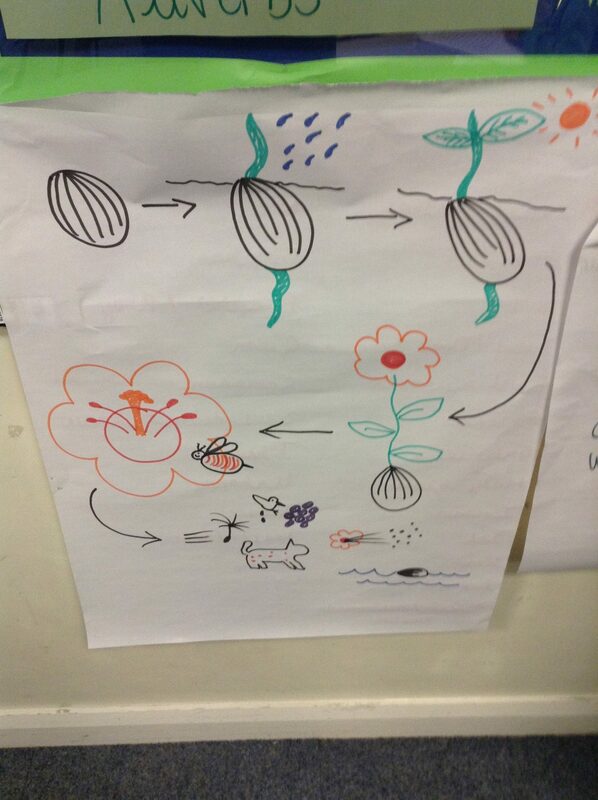 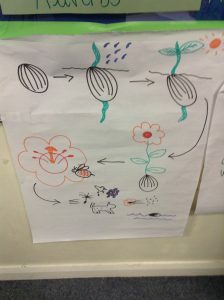 We then decided to link our English to our science topic of plants and wrote an explanation of the life cycle of a flowering plant using subject specific vocabulary. 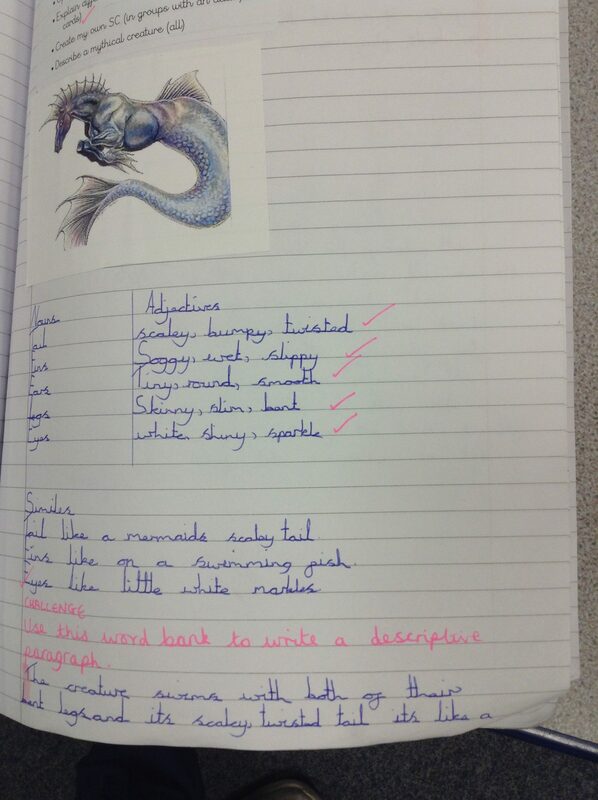 We have also focussed on fantasy stories and practised our descriptive writing using a range of exciting adjectives, similes, verbs and adverbs. 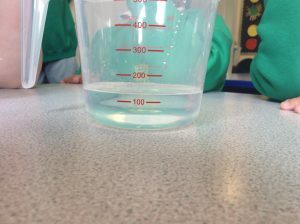 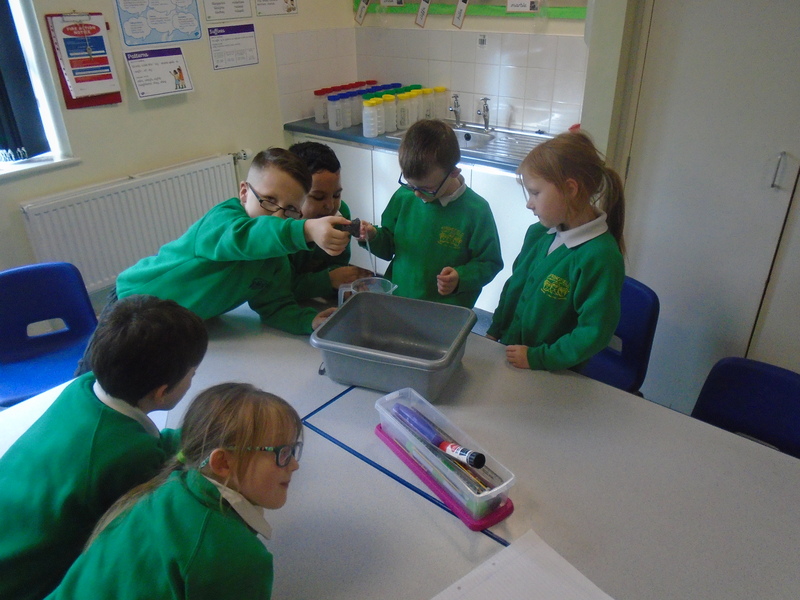 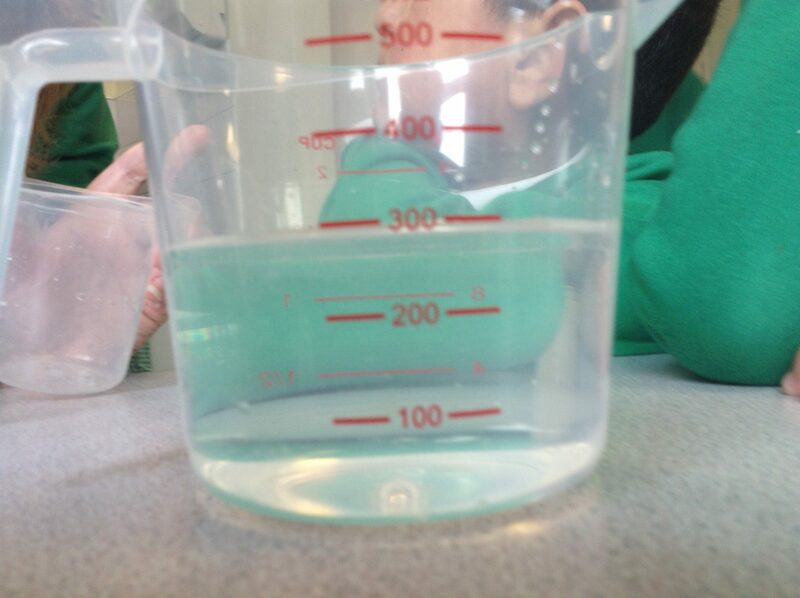 In Maths, the children have been learning about measuring mass and capacity. 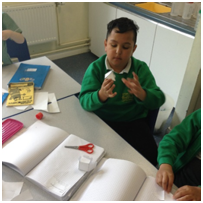 We have carried out some practical investigations as well as converting between different units of measurement. 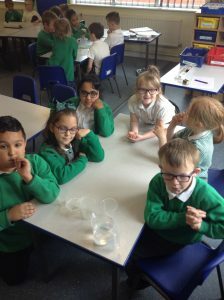 Our focus in Science has been plants. 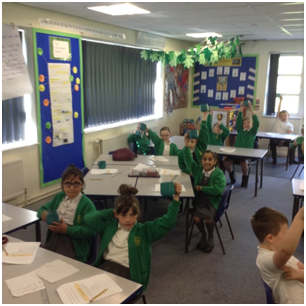 The children have shown good subject knowledge of the roles of different parts of a plant and have enjoyed learning about how plants are produced. Also, the children have tested their ability to work scientifically by predicting and evaluating results of different investigations. 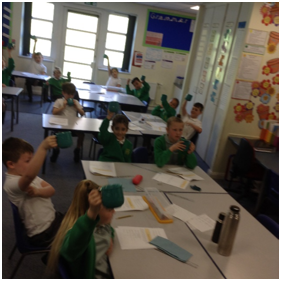 In our history topic, we have been studying the Iron Age and the importance of Iron Age hill forts. 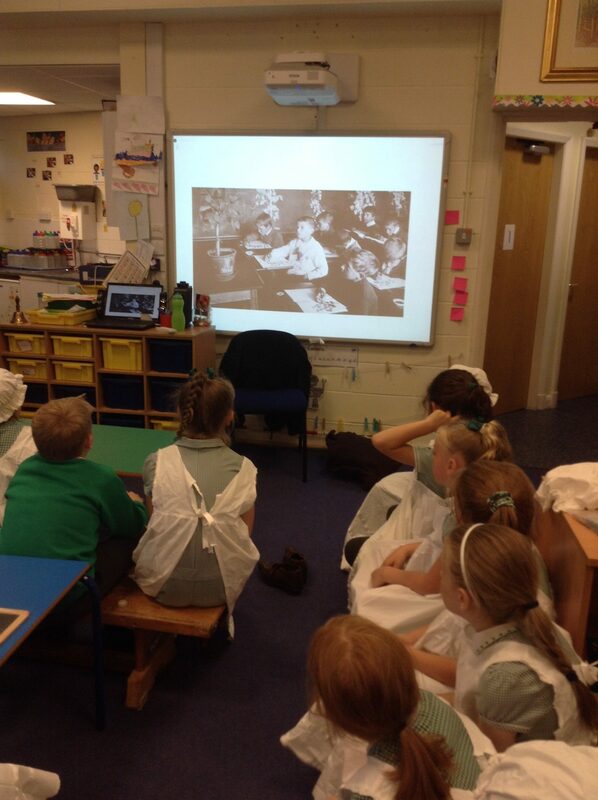 The children have worked in groups to analyse and make conclusions from pictures and artefacts left from that era. 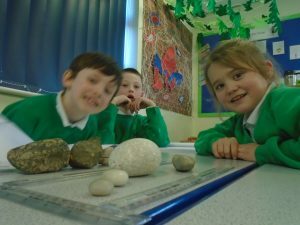 They have also compared their ideas to the ideas of a historian. 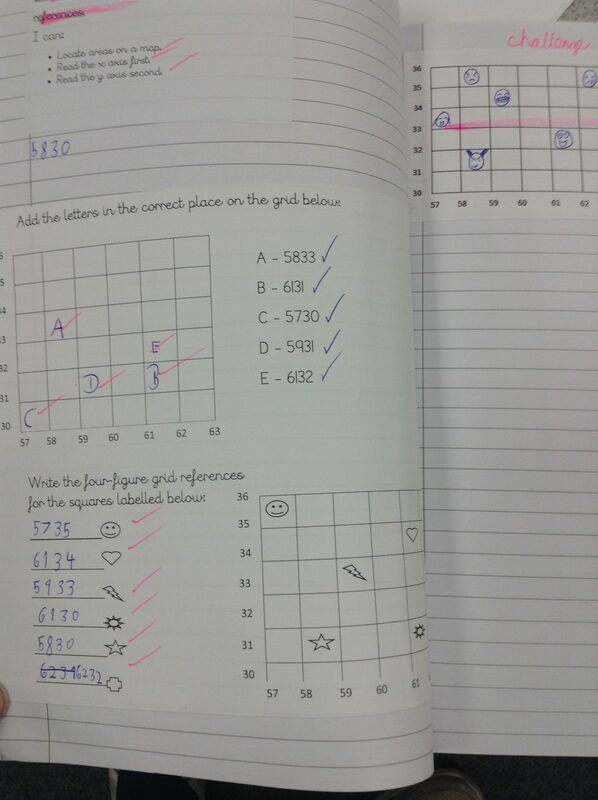 As part of our geography skills, the children have been learning to use four figure grid references on a map by locating and plotting different features. 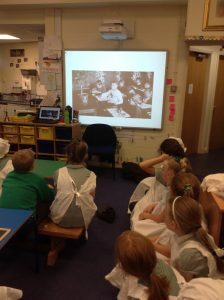 As part of history day this term, the children got to learn about and experience life in Britain 100 years ago. 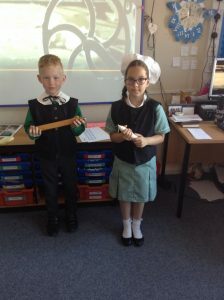 The children thoroughly enjoyed using a range of different props and dressing up like children from 1911 all while applying their kills which they have learnt throughout the year. 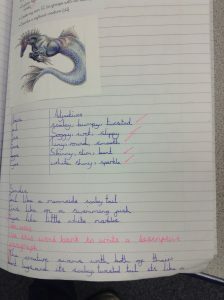 During Summer 1, Year 3 took great interest in researching and learning about sharks. 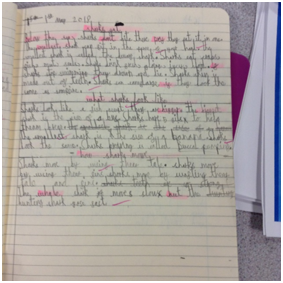 This linked nicely to our English focus of non-chronological reports. 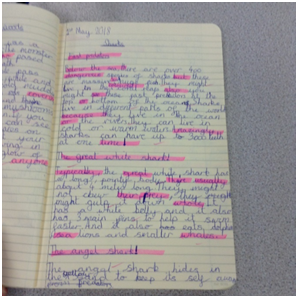 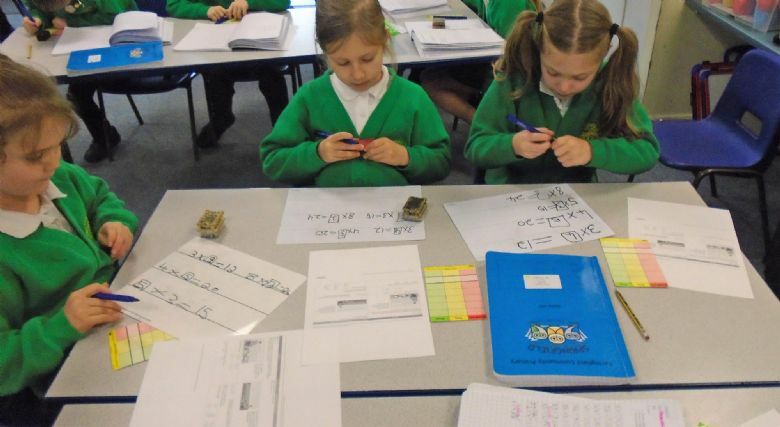 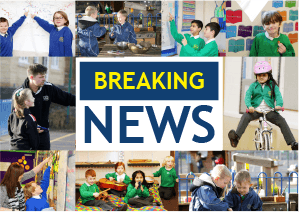 The children read a range of reports to familiarise themselves with the features and layout of a non-chron report and then used the interesting facts they had learnt about sharks to write their own report using paragraphs with sub-headings and different fronted adverbials. 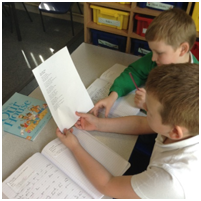 We also looked at performance poetry which involved watching and evaluating different performances before creating and performing our own poems using clear voices and actions. 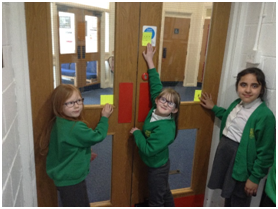 In Maths, the children have been focussing on properties of shape, including angles and different types of lines. 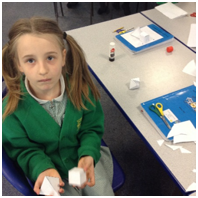 They have all learnt to make 3D shapes using nets and started to describe the properties of both 2D and 3D shapes. 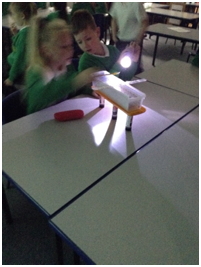 Our focus in Science has been light and shadows. 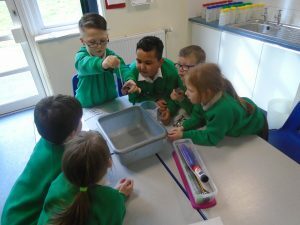 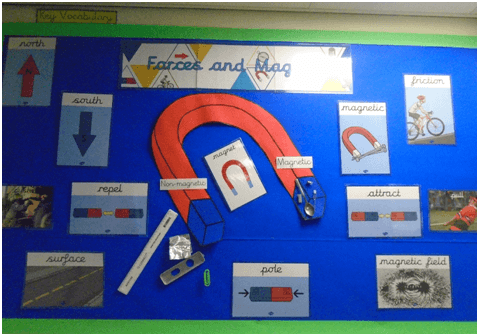 Th children have applied their scientific skills to come up with their own investigation questions linked to the topic and then carried out the investigations by working practically. In our history topic, we have continued to study the Bronze Age by examining images of monuments constructed during that time and discussing how and why the settings have changed in appearance over time. 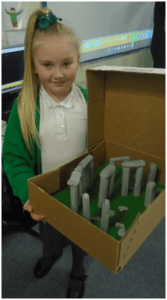 The children have also had to imagine what the monuments would have been used for and compared them to monuments constructed in modern times. 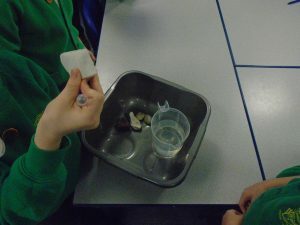 As part of our design and technology project the children have been learning about different food, with a view to creating their own soup next half term. During the planning stages of this project, the children decided on the best flavours and textures to make sure their soup would be delicious. To help them decide they tasted and evaluated a range of different soups. 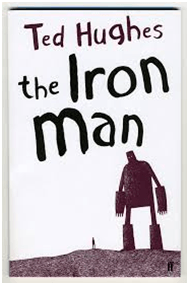 This half term, we have been studying the Iron man novel in class. 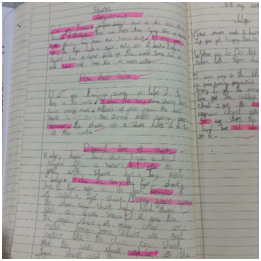 We have looked at a range of techniques used by the author, Ted Hughes and enjoyed reading and understanding the story as it progressed. We are now able to apply these techniques to our narratives and have written a narrative based on the story of the Iron man but adapted to include our own characters and solutions. 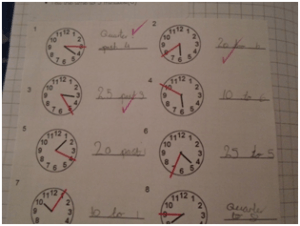 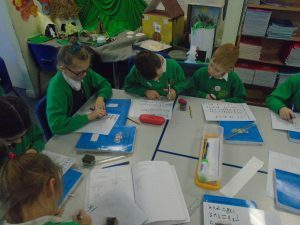 In Maths, the children have been looking at time. 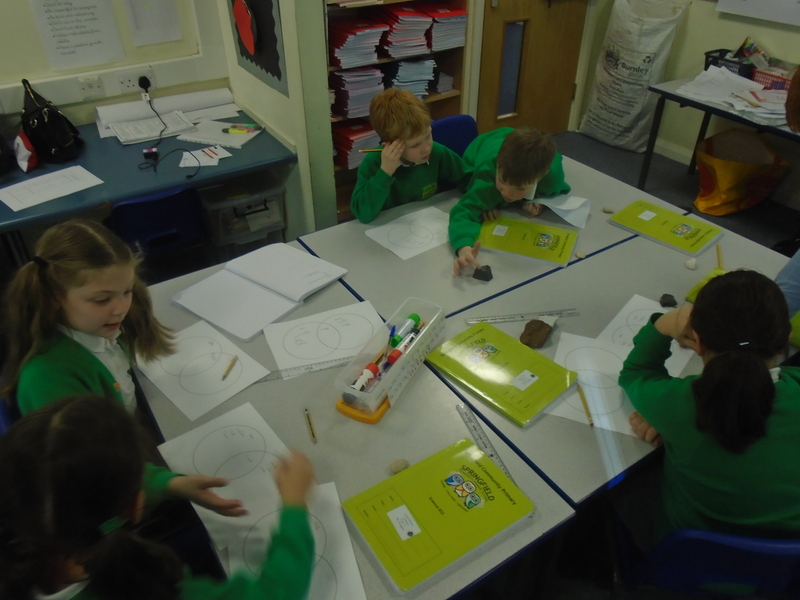 We have been learning to tell the time on an analogue clock and change it into digital time. 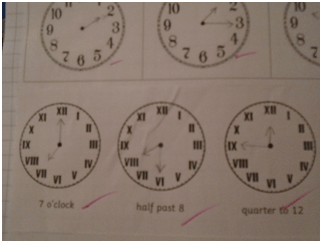 We have also applied this knowledge to tell the time using roman numerals. The children have enjoyed learning this challenging but important life skill. We have also begun our new topic on fractions. 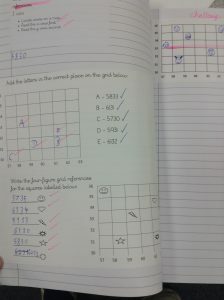 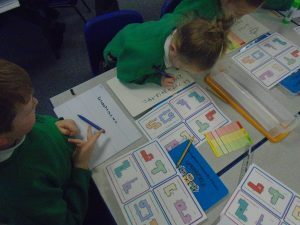 We have learnt how to find fractions of shapes and fractions of amounts, as well as looking at equivalent fractions. In the afternoons, we have been learning about different types of settlements. 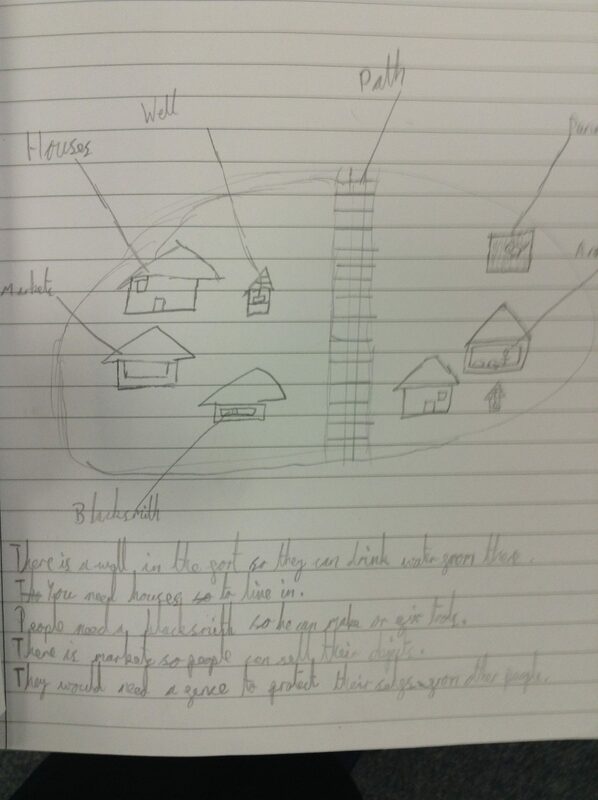 We have looked at which features are important for a settlement to enable its inhabitants to survive different conditions. 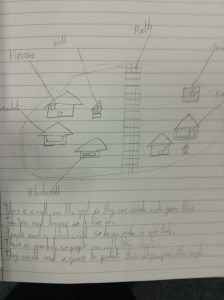 The children have enjoyed using their map skills to study villages across different continents. 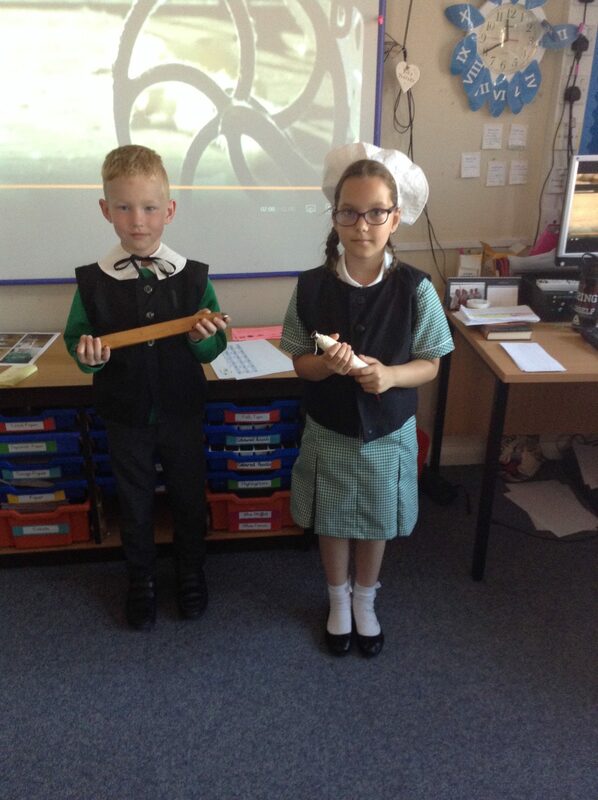 In our history topic, we have learnt about the technology used during the Bronze Age. 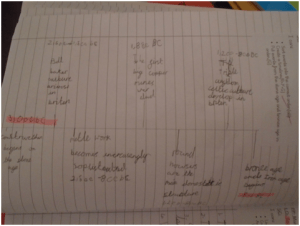 We have also spoken about how history is measured and created our own timelines to mark the main events during the Stone Age and Bronze Age in chronological order. 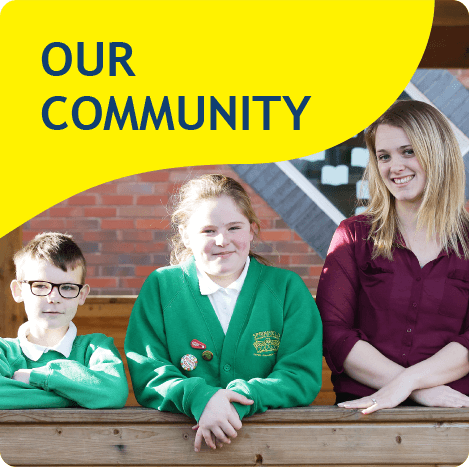 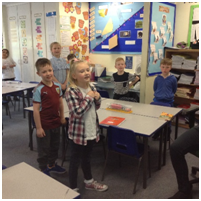 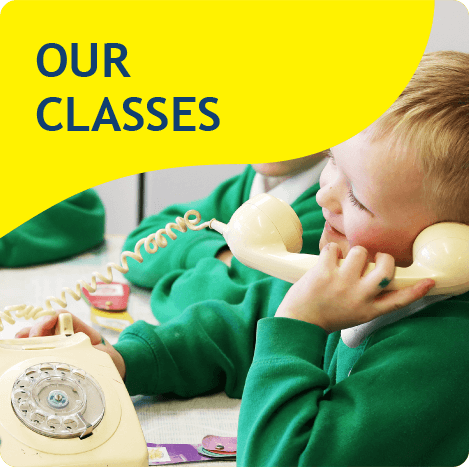 On Fridays, the children have enjoyed learning French. 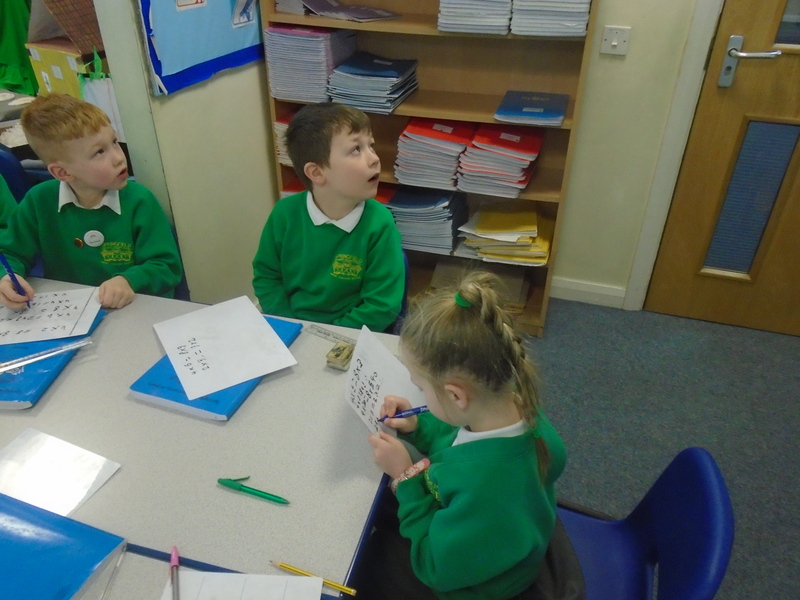 They can now listen to and follow simple instructions in French and have begun to use simple adjectives to describe objects both verbally and in writing. 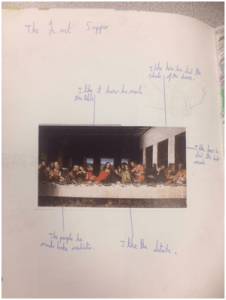 Our artist this half term has been Leonardo Da Vinci. 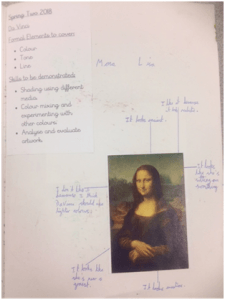 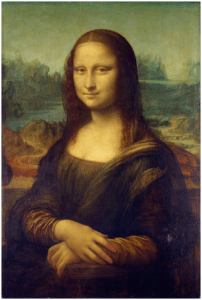 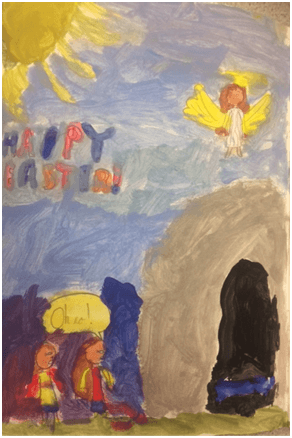 We have studied his famous paintings including the Mona Lisa and the Last Supper. We have also created our own paintings using a mixture of fine and thick brush strokes and mixing our paints to create new shades. This half term, we have been reading Stig of the Dump. The children have enjoyed reading and listening to different sections of the story and have taken a keen interest in the range of vocabulary used in the story. After reading story, we had a go at writing our own adventure story linked to the structure of one of Barney’s visits to Stig in his den. 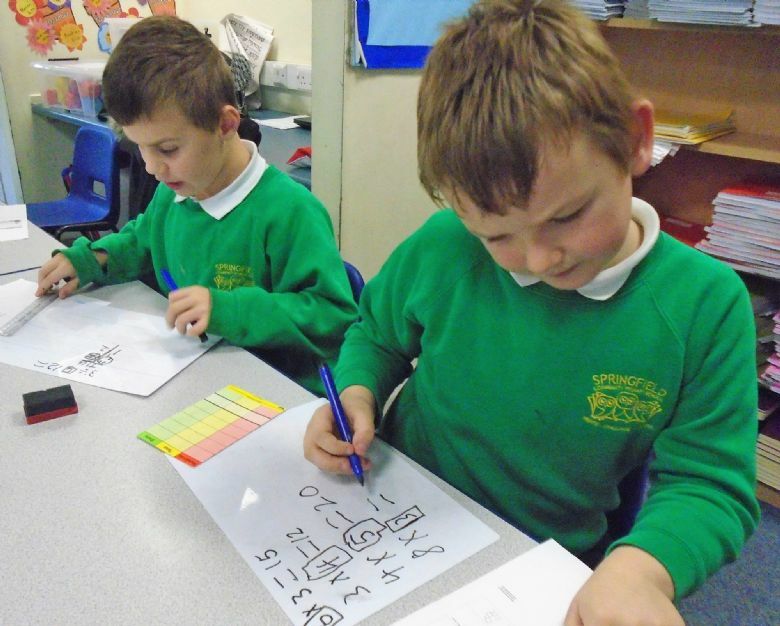 In Maths, the children have been looking at multiplication and division. 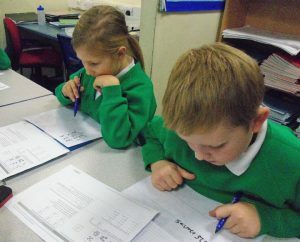 They have worked well to apply their knowledge of their times tables to solve problems with larger numbers using more complicated written methods. 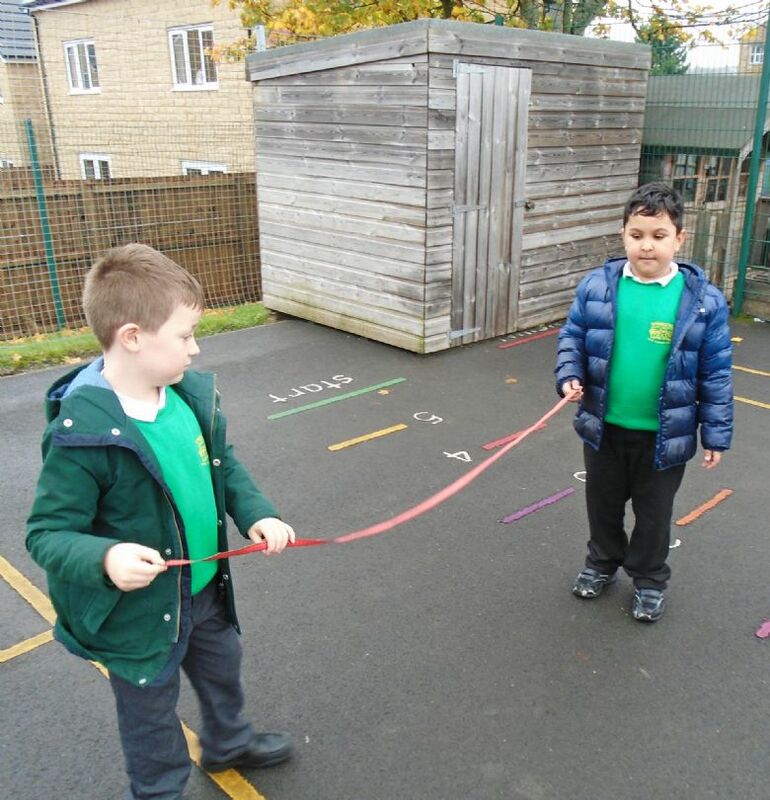 The children have also focused on measuring length, including the perimeter of 2d shapes. 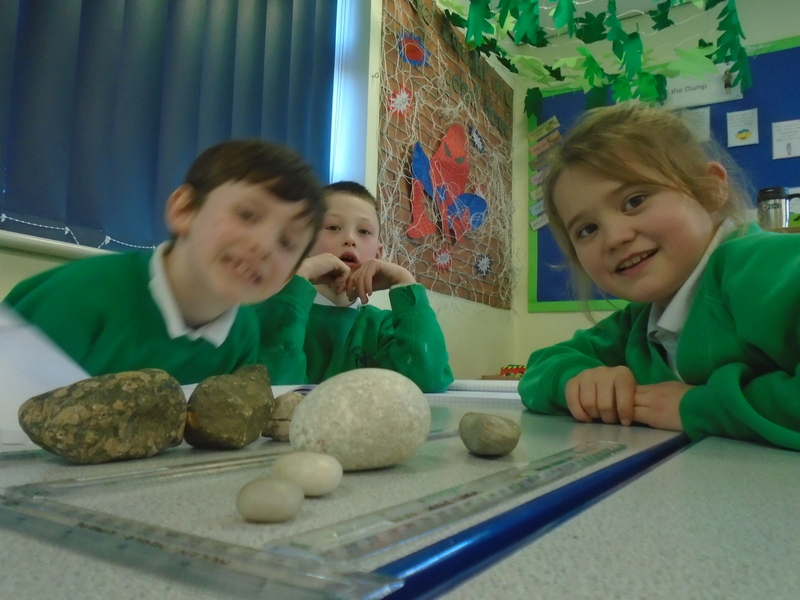 They have used a range of equipment to measure objects around school. 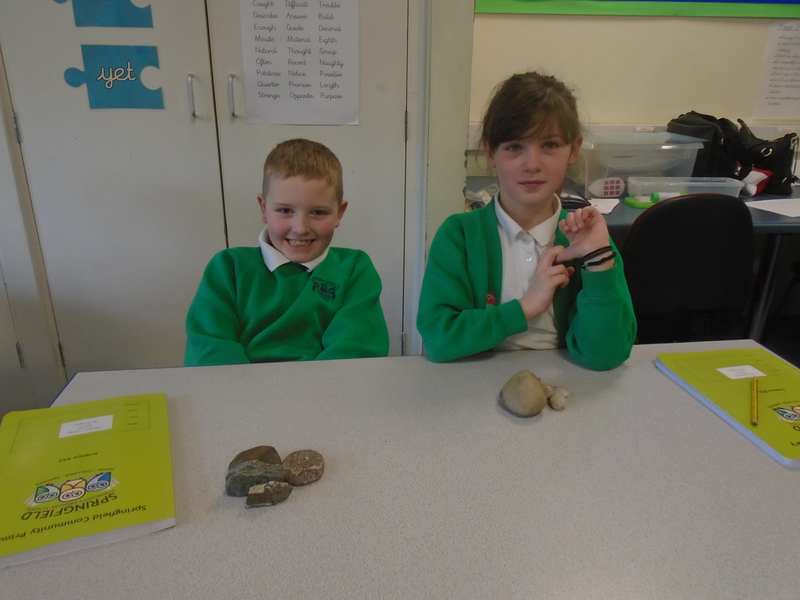 Our focus in Science has been rocks and soils. 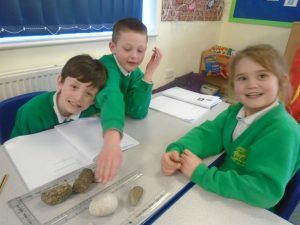 We have looked at different types of rock and compared them by shape, texture and whether or not they are natural rocks. 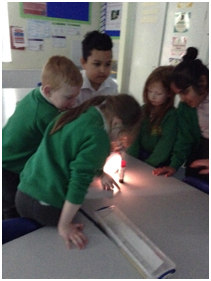 We have learnt in a variety of ways and carried out several investigations to improve our practical skills when learning scientifically. We have also been studying fossils and how they are formed. 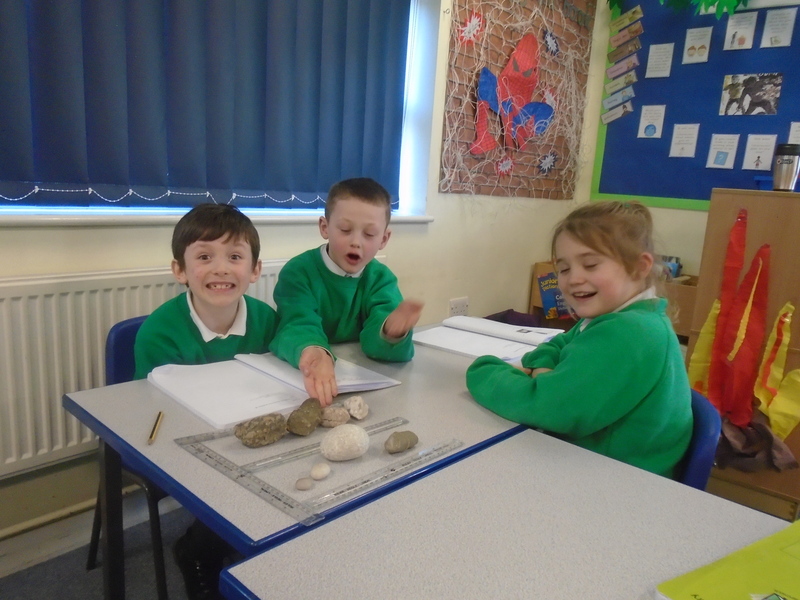 For our Geography topic we have learnt about landscapes. 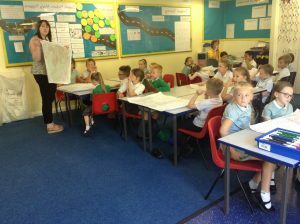 The children have discussed what landscapes are and have studied maps of the British Isles to identify different landscapes in our surroundings. In History, we have been learning about the Stone Age and have compared life in the Stone Age to our lives in modern times. 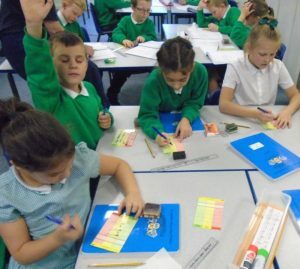 As part of our history topic, year 3 and 4 visited he cinema to watch “Early Man” an animated film set during the Stone and Bronze Age. Everyone thoroughly enjoyed the experience. 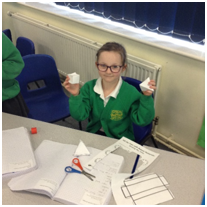 Our artist this half term was the German born Kurt Schwitters, known for his collages. 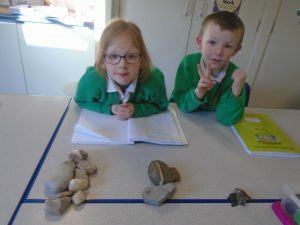 We studied and annotated some of Schwitters’ work and then we created our own collages using a range of materials and layering techniques to create a landscape scene. 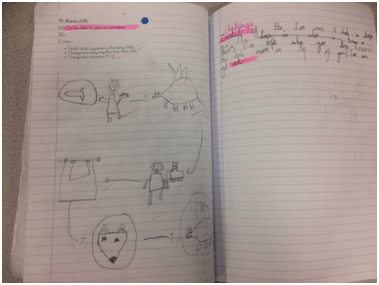 This term, we have been learning about fables. 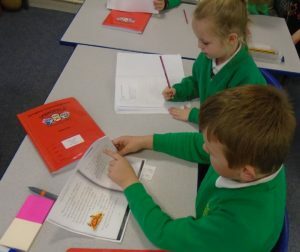 We have read a range of fables and peer assessed ourselves to see if we can change our tone when speaking with different characters. 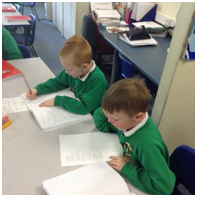 We have used talk for writing to help us write our own fables based on the Hare and the tortoise. 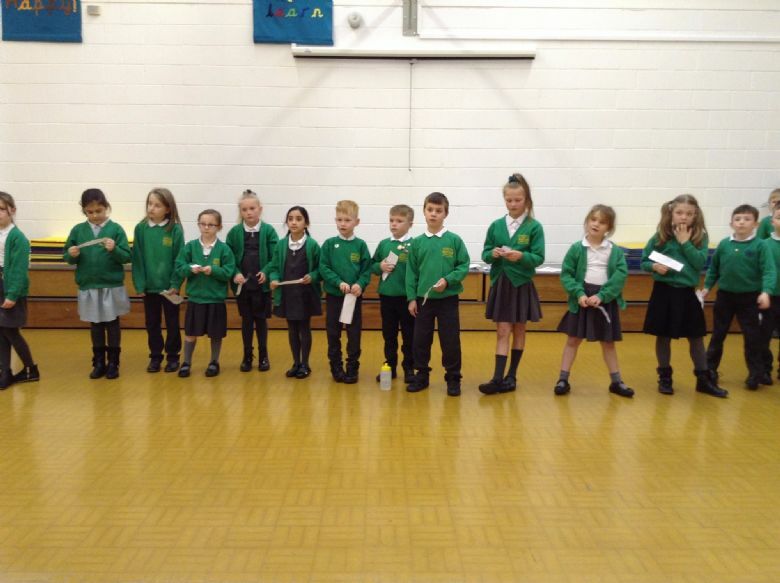 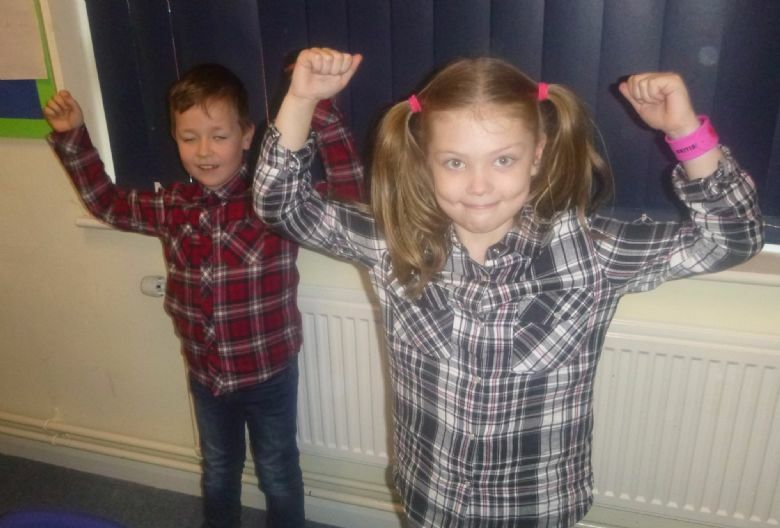 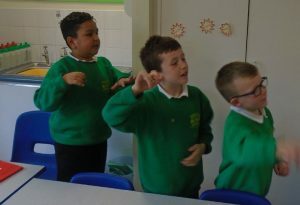 We have also learnt about persuasive writing and learnt a range of persuasive techniques which we have applied through drama and in our letters which we have written. 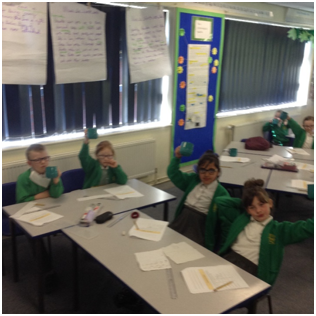 This term, we have been learning how to multiply and divide using our knowledge of our times tables. 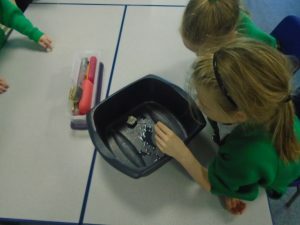 The children have enjoyed applying their understanding to solve a variety of problems involving concrete, pictorial and abstract methods. 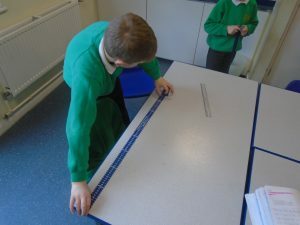 We have also begun to look at our topic of measure. 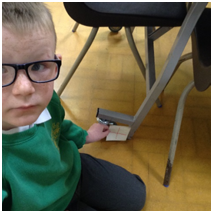 This has involved measuring objects around the classroom and finding the difference between two lengths. 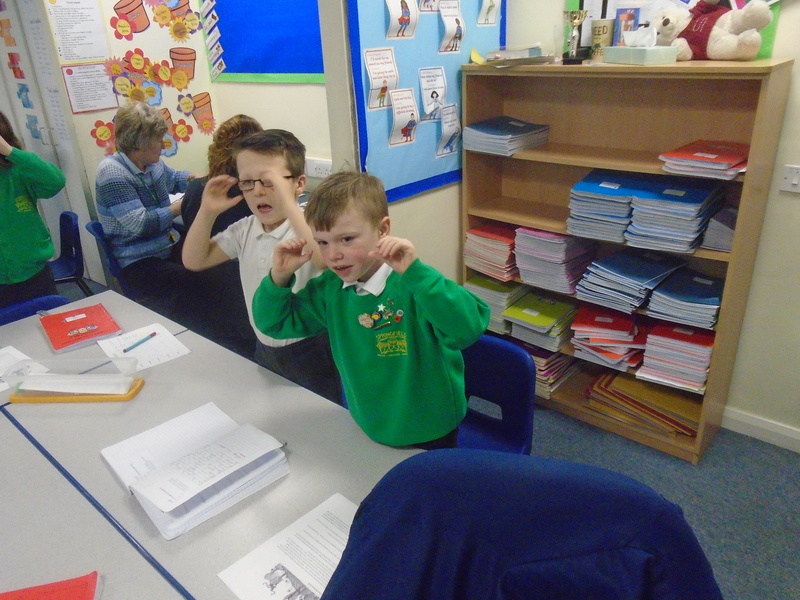 The children have really enjoyed learning about our topic of animals including humans. 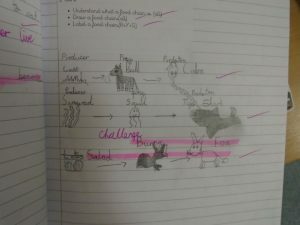 We have studied and compared animals, discussing their diets and habitats. 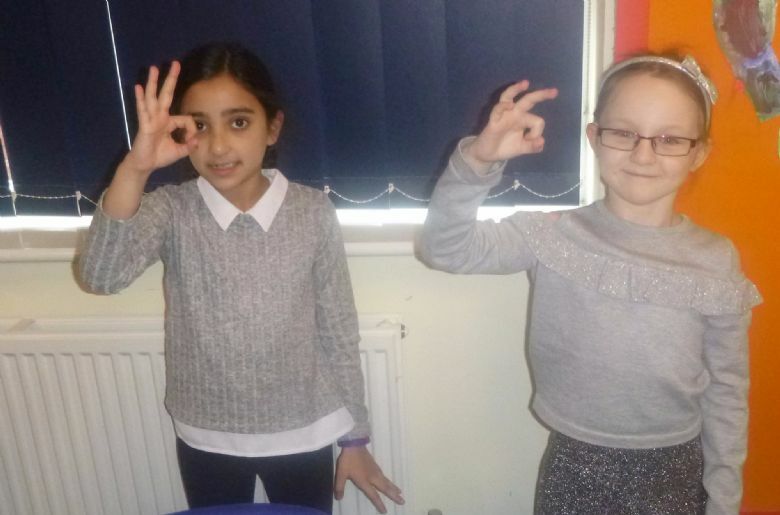 Year 3 have recently begun a new computing scheme, which they are thoroughly enjoying. 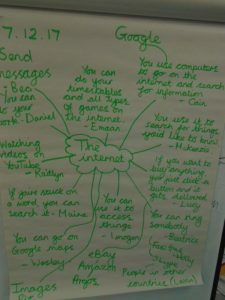 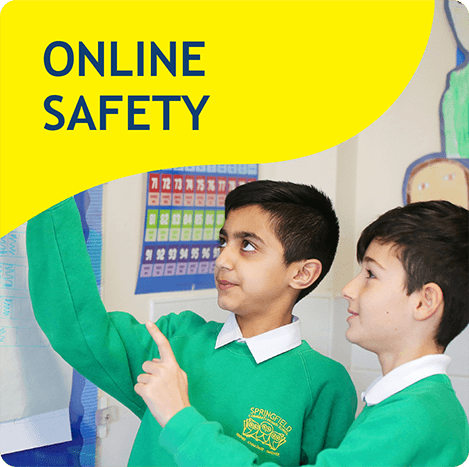 This term they have learnt about the uses of the internet and how to remain safe when using it. 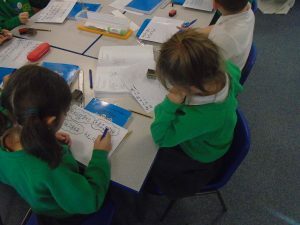 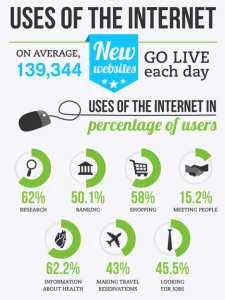 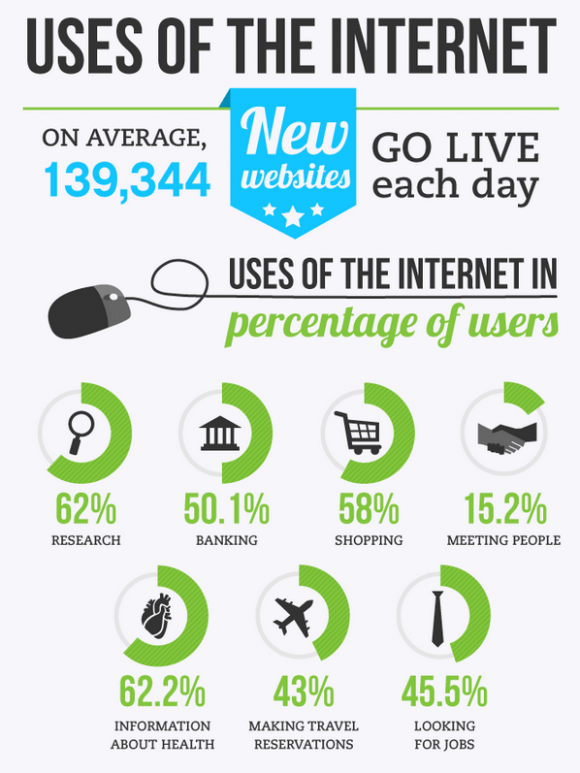 They have also applied this knowledge when researching for different topics. 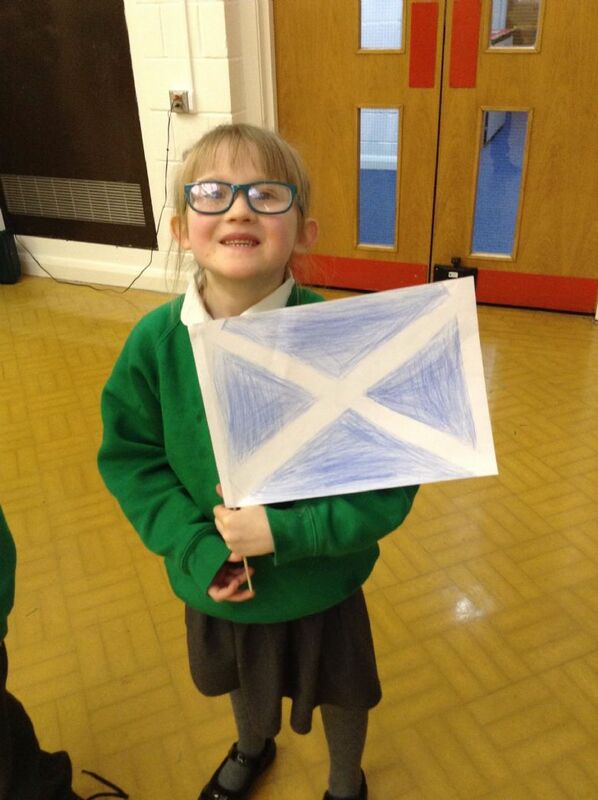 On the 30th November, Year 3 was asked to learn about St Andrew’s day and then present what they had learnt to the rest of the school in assembly. 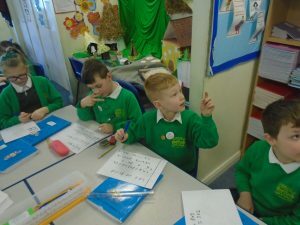 The children showed great enthusiasm towards the topic and were really excited to teach the rest of the school what they had learnt. 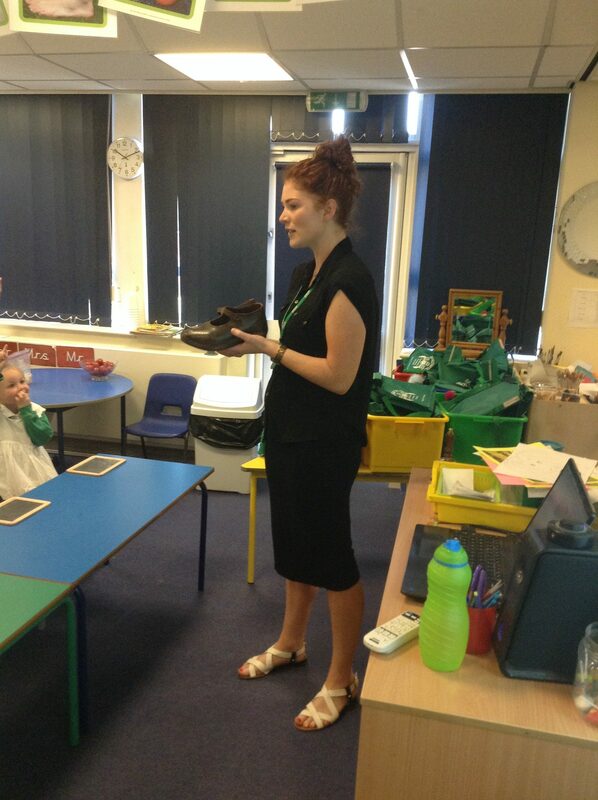 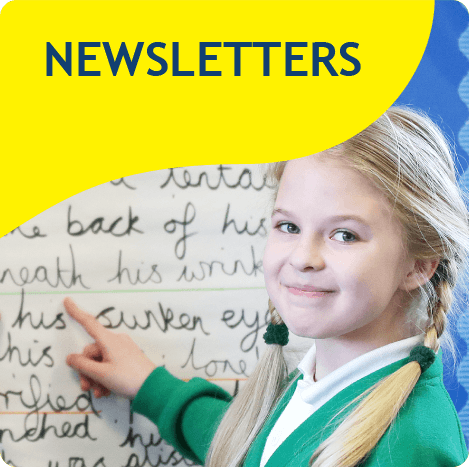 This half term, we have been focussing on biographies and folk tales in English. 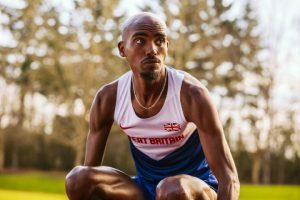 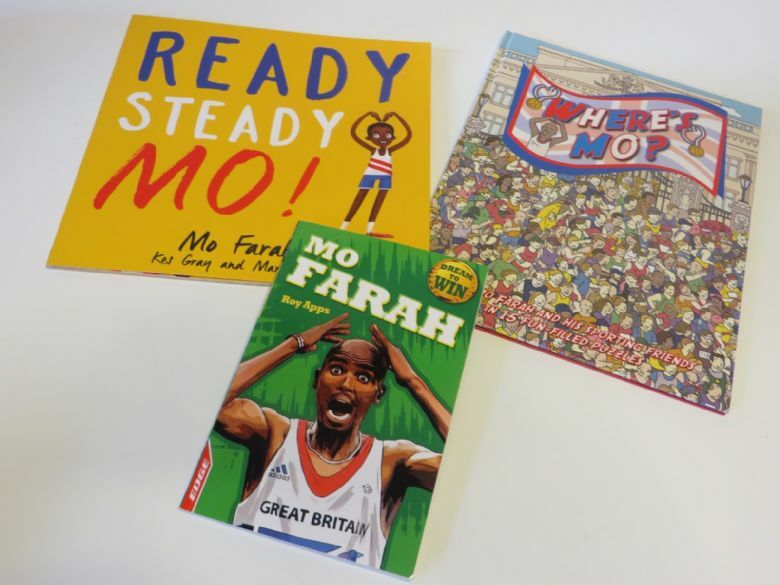 For our biographies we looked at the life and career of Mo Farah. 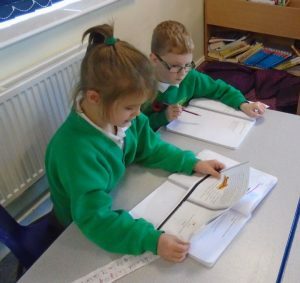 We worked together in pairs to research about his life and then used this information to write our own biographies about his life including his early childhood and his Olympic success. 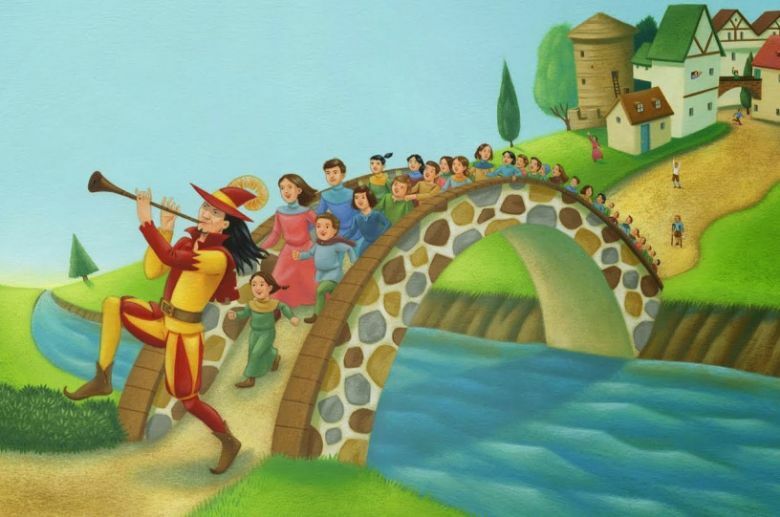 During our folk tales topic, we read a range of different folk tales and used a range of adjectives and adverbs to describe characters and settings. 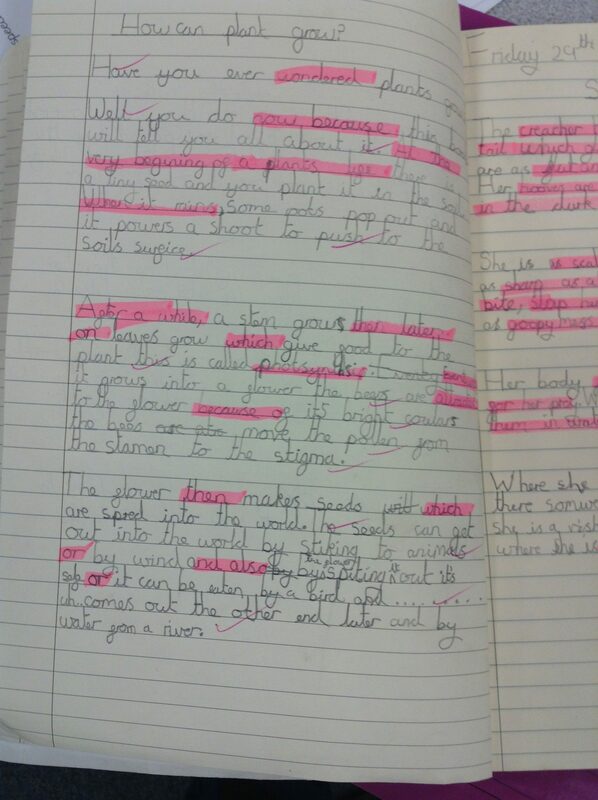 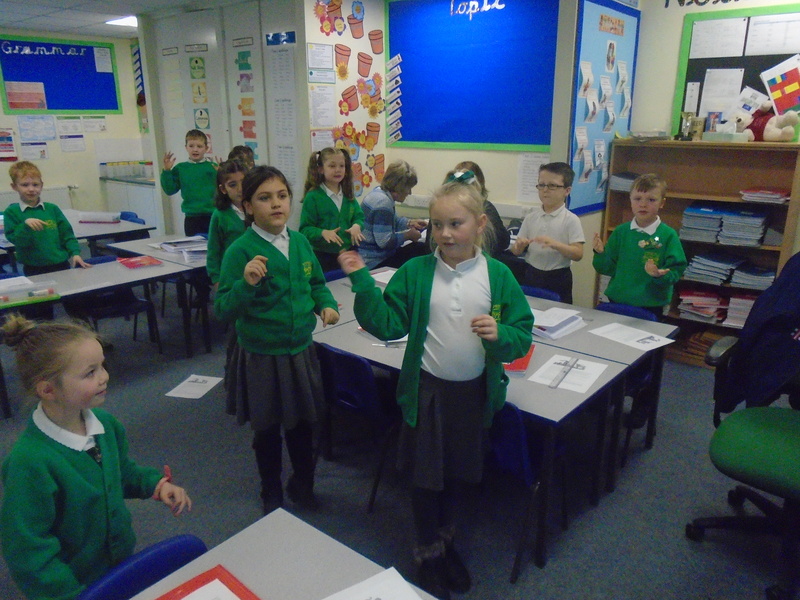 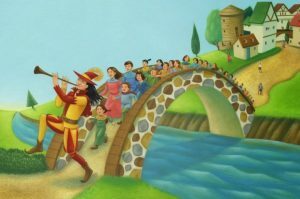 We also wrote our own folk tale based on the Pied Piper which we could re-tell by using talk for writing. In maths, we have been learning about place value, addition and subtraction. The children have used a range of equipment and images to help them understand the value of each digit in a number. 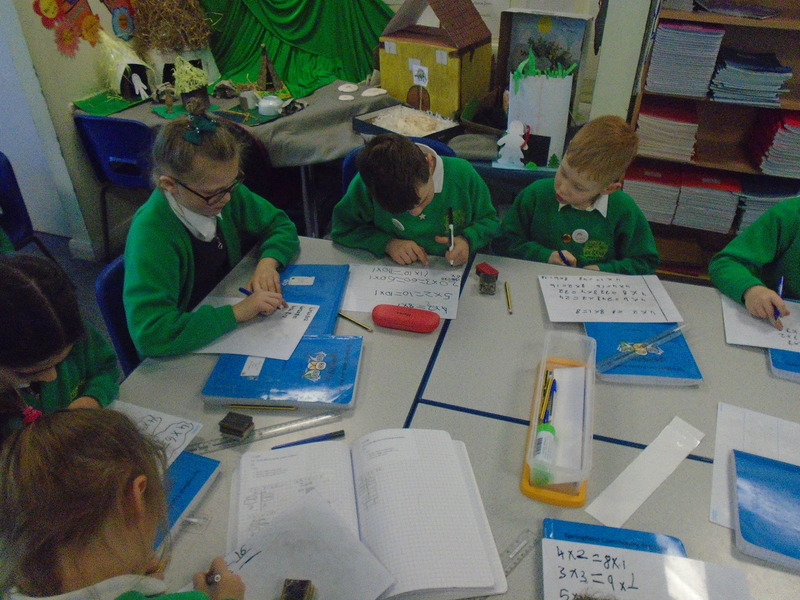 We have used this understanding to solve addition and subtraction problems with column methods. 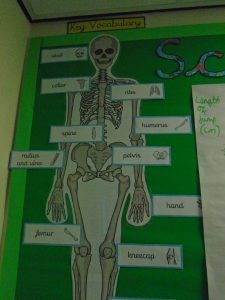 This half term in science, we have learnt about the human body. 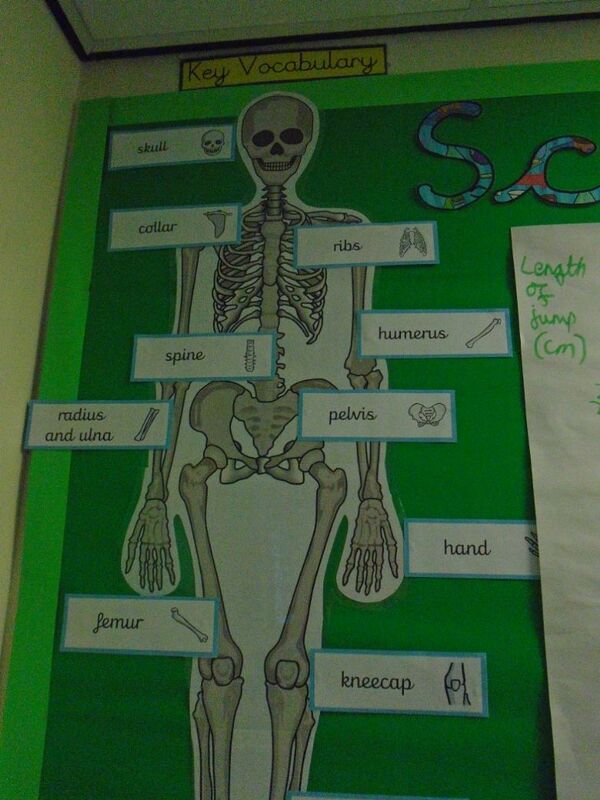 We have be naming the bones in our skeletons and have studied the purposes of our joints, muscles and bones. 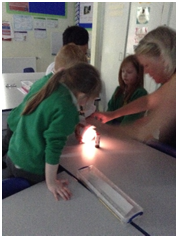 Also we have applied this knowledge and carried out a range of practical investigations. 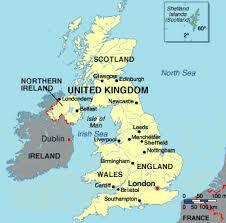 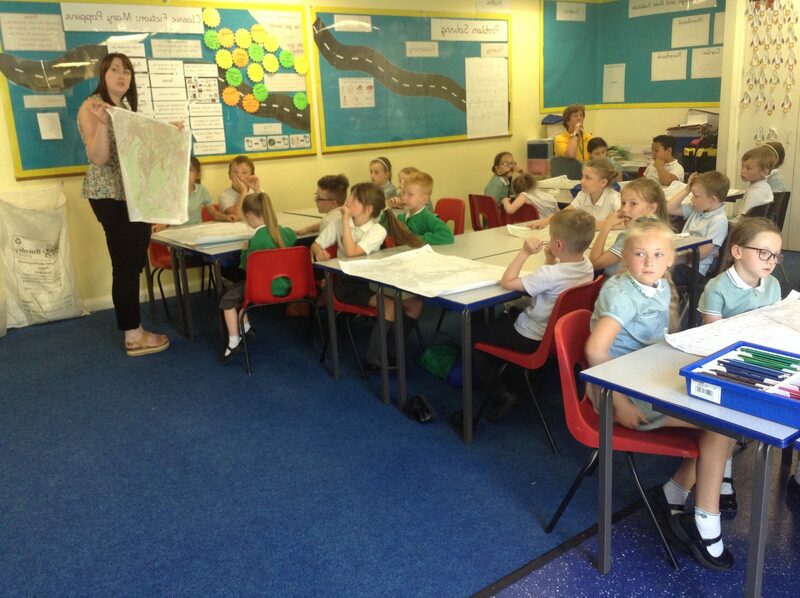 For our geography topic, we have been looking at our local area and focussing on map skills. 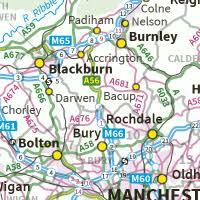 We have labelled features on a map of Burnley, looked at grid references and learnt about the countries and cities of the UK.